1/2 off Makimono Sushi rolls from 5pm-7pm every Monday and Wednesday. Excludes lobster roll. O-Ku celebrates authentic Asian cuisine with a southern approach with a menu that focuses on unique ingredients and sophisticated presentations. 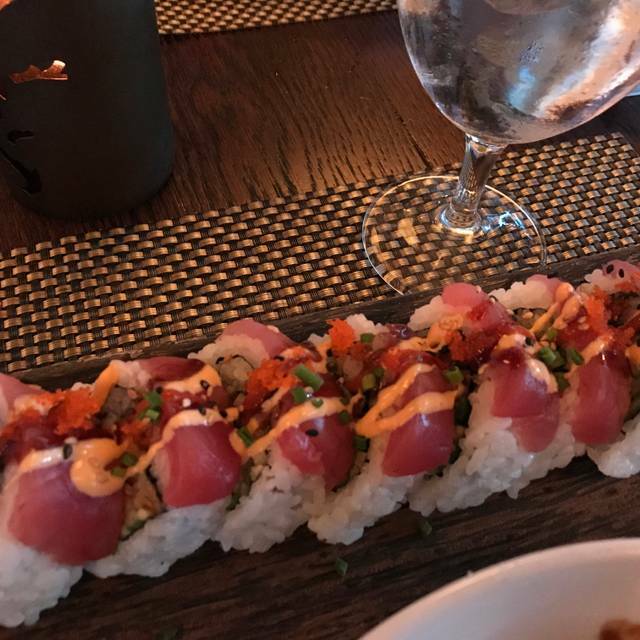 From petite plates to sushi specialties, O-Ku showcases the freshest fish from the world’s finest markets and producers in areas such as Norway, Scotland, Hawaii and New Zealand, as well as local sustainable sources. We offer high-end traditional sushi and make it approachable and available to any interested diner. Focused on incorporating authentically Japanese flavors into the fare, O-Ku’s menu is comprised of signature contemporary Japanese entrées and traditional sushi of the season and reflects the uniquely designed space. The beverage program at O-Ku is a sophisticated blend of specialty cocktails, premium sake, bubbles, red and white wines and unique beer selections. Really tasty food, well presented, all in a very cool atmosphere. Excellent food. Music is too loud. Always enjoy dining here. It’s our personal hot spot. 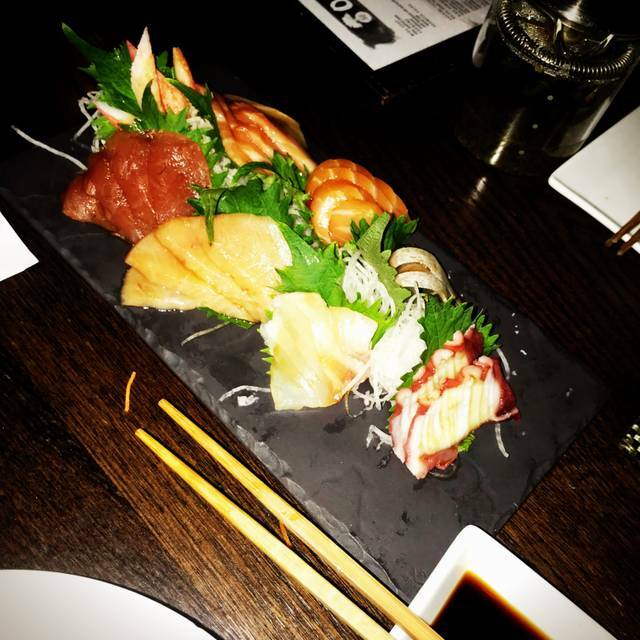 Amazing sushi, great bogo happy hour. Restaurant only has two high chairs so you must reserve one in advance. We had a amazing time, celebrated an occasion. Wonderful service, attention to each ones needs. Food was delicious. Atmosphere was energetic. 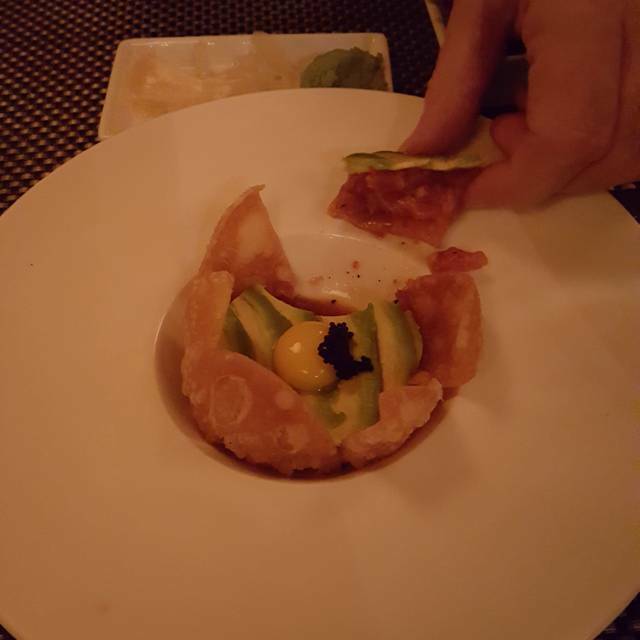 Our experience was perfect from the start with amazing lobster hand rolls through the delicious desserts of salted caramel budin and coconut cream brulee. The food was delicious and perfectly prepared. The service was excellent. Music was a little loud but not terribly. Overall we completely enjoyed the restaurant and will certainly be back...soon!! Some of the best sushi I've had outside of Japan. Really great atmosphere and decent parking. 5 folks wished us “happy anniversary” throughout the night starting with the hostess. Fantastic food! Amazing fresh fish. We had great service, which made up for our last visit. We will return soon! Fabulous food, service and atmosphere. The entire staff made my daughter’s birthday extra special. Good for happy hour special. Not sure I would want to pay full price. The sushi is very good but not great. There are other restaurants in town I would choose before going here to pay full price. It appears that others must feel the same as the place clears out when the happy hour (5-7 on Monday's and Wednesday's) is over. The service is great and again, while the food is good, I wouldn't say it is great. We would have ordered more if the waiter was anywhere to be found. It wasn’t that crowded to warrant such poor service. Food was delicious and my wife's favorite birthday dinner to date. Server accommodated her gluten allergy and provided us with exceptional service. We will definitely be coming back. 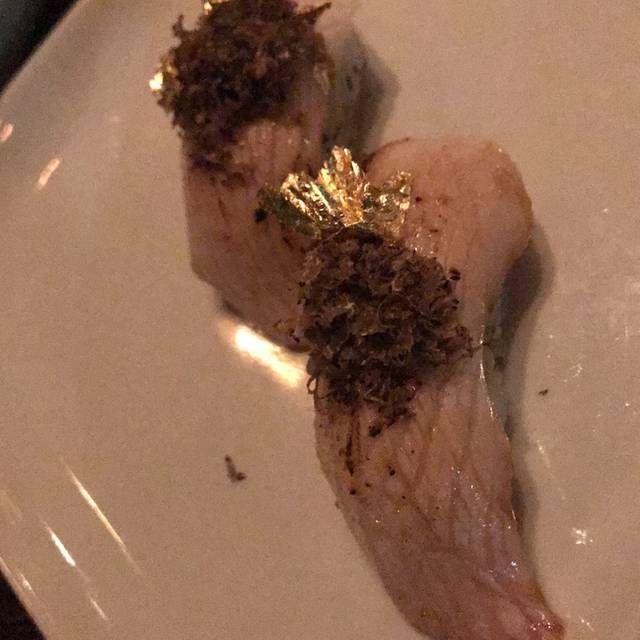 The service was phenomenal and the sushi was outstanding. Food and service was excellent. I would highly recommend O-Ku. Server was very knowledgeable and all his recommendations were great. 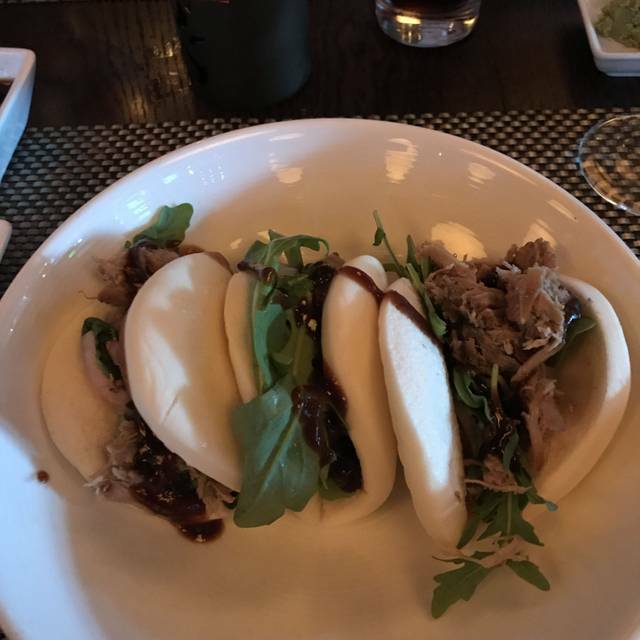 I've been to Oku before and really enjoyed it but our most recent experience was not as good. We waited a very long time for sushi rolls and our server not only didn't bring the food, but he didn't come check on us after it was delivered and didn't come back until we were done eating. So we ate with our appetizer plate on the table and without anyone to check on how we were doing or to put additional rolls in. To make it worse, I saw him talking in the corner and he walked by several times and we were unable to get his attention. I may eventually come back but I won't be sitting with Grayson. 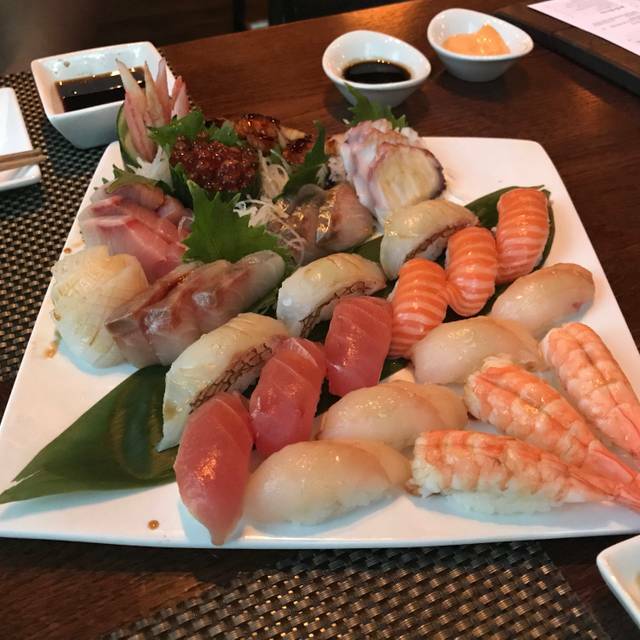 O-Ku is definitely my favorite Sushi restaurant in Charlotte. The food and service are fantastic! I have never had anything there that wasn't outstanding. It's definitely worth spending that extra for the quality that you get from them. It was a good experience, but didn’t exactly reach the hype that had been built up before going. We had a wonderful experience. 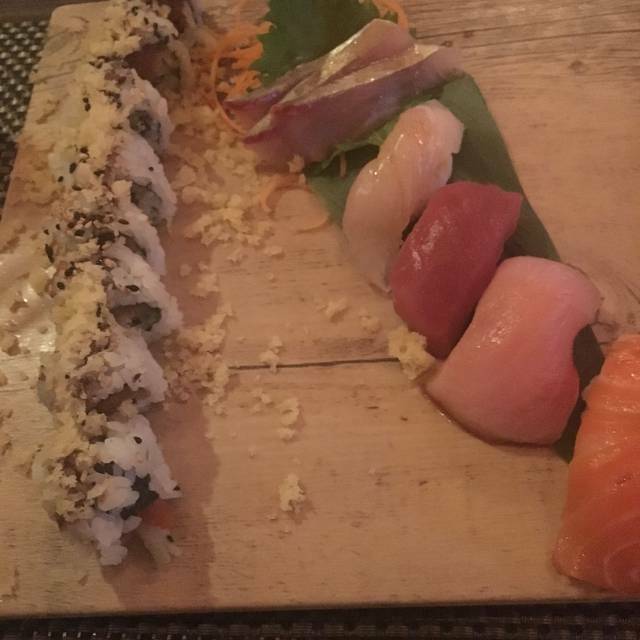 All of the sushi was delicious! Chef Michael and team are fantastic. Everything from our Cocktails to the food was delicious. Worth every penny. I’m a self professed “foodie” and she is not so having our waiter ,Tony better explain the options to us, one of the reasons I took her there, made it easier for her to feel comfortable in trying something new. It was a good night. We’d come again. This place was amazing. Great atmosphere, service, and food. It was very fresh tasting. I've wanted to try O-Ku for a while, but I couldn't convince my friend that there were lots of cooked items on the menu for her. We finally went for my BD and loved it. The lobster temaki and the lobster & wild mushrooms were excellent. So, was the crab on crispy rice (sushi style). We also enjoyed the dim sum. 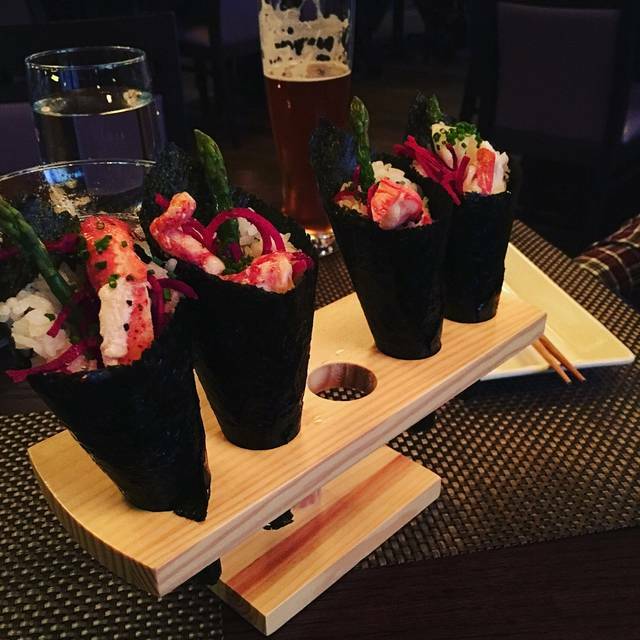 The spider rolls were fine, but not as exceptional as the other dishes. Save room: The coconut creme brulee and the butterscotch desserts were both great. We were there for a very early dinner, so the DR seemed a bit dark and the music was quite loud. By the time we left, the DR had filled up and the club atmosphere seemed more welcoming. The well-trained, and attentive staff, was excellent. Professionalism showed in everything O-Ku did. We will be back soon! We went on a Monday. It looked 75% full. The service was so slow. It took 40 minutes to get our rolls out. With the second order it was 35 minutes. 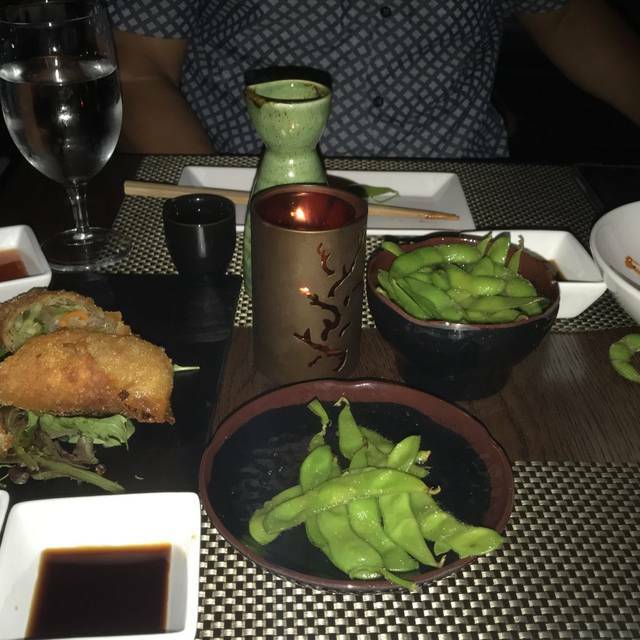 My boyfriend and I started with the spicy chili edamame and then shared three rolls that are half priced on Mondays and Wednesdays! Everything came out quickly and tasted delish. Would recommend! It’s a wonderful place to dine with friends and family. My kids are fan favorites of O-Ku. They look forward to dining here when they are in town. Fantastic food, wait staff, ambiance drom the moment you step in the door. Took my husband for his birthday- first time at O-ku for both of us. Will absolutely return!! This is my second time back to O-Ku and I will definitely return again. From the minute you walk through the door you feel very welcome and warm. The dim lights bring a relaxed, cozy vibe to the restaurant. The service is Superb and the food is top notch! Good restaurant. Interesting, tasty, well-prepared food. Good drink selection. Food does take a while to come out and the bartender messed up all four of our first round of drinks. However, we had an amazing young woman as our server who did everything in her power to make it a good experience.